Most people know that trees are an important part of the earth’s eco-system. Healthy trees, dead trees and fallen trees are all common sights in our own backyards. But what if you could maintain the health of your trees and help them live longer? 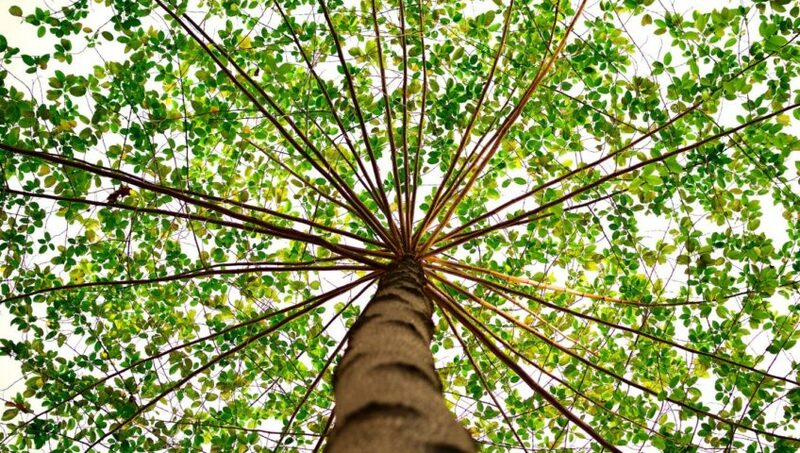 You could be helping the planet by caring for your trees. Make neighborhoods pleasant and inviting, increasing the value of homes. When trees become sick and eventually die, all these areas suffer. Watch for some of these common signs of problems with your trees. If you see any of these, call your local tree company to do an assessment. Bark imperfections. Tree bark should be textured but not full of deep cracks or holes. Soft, crumbling wood is also a bad sign. Trees decay from the inside out. If you see fungus or mushrooms growing on the outside means decay on the inside. Dead branches. Those brittle branches that look as if they may break should be removed safely. Change in leaves. If the leaves of your tree appear to be discolored or you see a reduction in the number of leaves produced on the tree, it may be a sign of disease. If you have a sick tree, there are options that may help to extend its life. Pruning can be an easy fix for many trees. The removal of dead branches, removing rotting sections of a tree, and proper cutting back, can encourage new growth and allow the tree a chance to heal. Topping is not a recommended method as this extreme cutting leaves the tree weaker and more susceptible to insects and disease. Unless the tree is already dead, pruning is a great way to promote healthy growth and give your tree a new lease on life. Catching the early signs of disease or infestation in your trees may save its life. Infected areas of the tree may be removed, and some insects can be sprayed. Acting early or using preventative measures will help extend the life of your trees. Unfortunately, in some cases an infected tree cannot be saved. In the Midwest, the Emerald Ash Borer has killed tens of millions of trees that were once thriving and healthy. An infected tree can be saved if it is caught early in the stages of infection. Removing dead trees can help decrease habitats for this and other dangerous insects, helping to protect your living trees. Talk to your arborist about recommended precautions and treatments. If a tree has died, it is important to have it removed safely. A sick tree may be saved, pruned, trimmed, supported or treated but after a certain point, the safest thing to do is to remove the tree. Remember that you can always plant a new one in its place. Know the signs and help save a sick tree! Talk to the experts in your area for a professional examination of your tree and an evaluation of its condition.